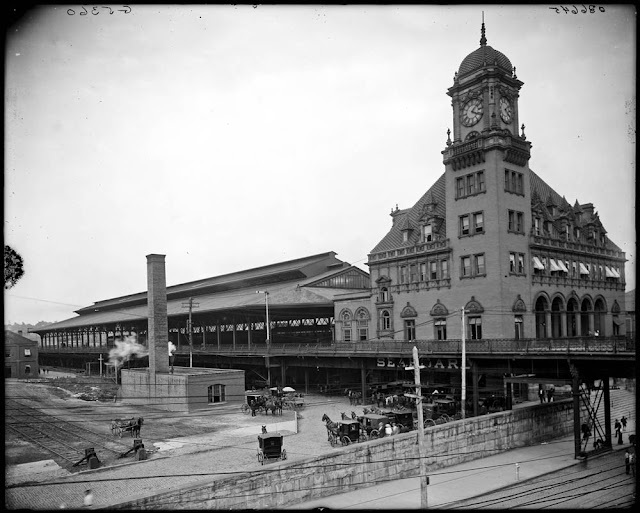 Main Street Station, roughly 48 years before the construction of I-95/Richmond-Petersburg Turnpike would obscure this view forever. Main Street Station was built in 1901, and passenger service continued until the mid 70s. The building survived a major fire in 1983, and a failed mall a few years later. Passenger service returned in 2003. I especially like the horse cart in this photo that says "PHONE 1203" with a backwards N. Click the photo for the high resolution image. From July of 1986 comes this gem. 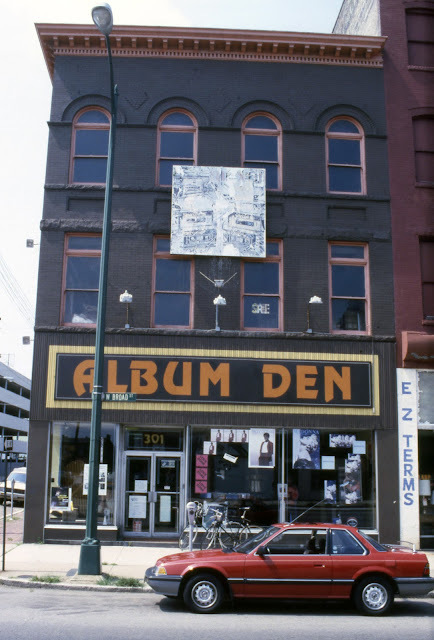 The Album Den resided at 301 W. Broad Street. 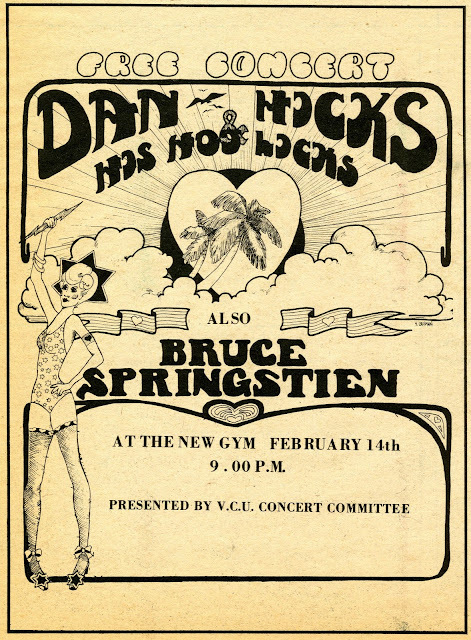 Note the Billy Ocean and Madonna posters in the window in the large version, as well as the faded Maxell cassettes on the sign between the 2nd and 3rd floors. Not sure when this record store closed, but I do remember when Corporate and Museum Frame opened at this address in the early 90s. Can anyone shed more light on this store? I'm guessing from the font on their sign that the Album Den must date back to the mid 70s at least. Click the photo for the high resolution version. 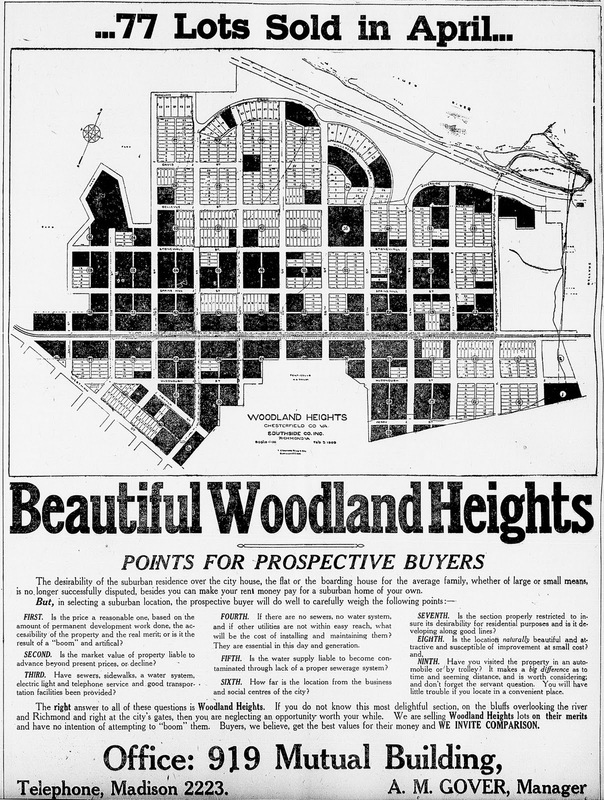 From the May 1st, 1910 issue of The Times-Dispatch comes this great ad for Woodland Heights. 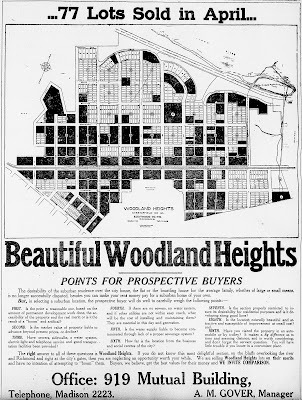 According to this ad, it's a "most delightful section, on the bluffs overlooking the river and Richmond and right at the city's gates." The city of Richmond wouldn't annex this section of what was then Chesterfield County for another four years. Click the photo for the high resolution version. 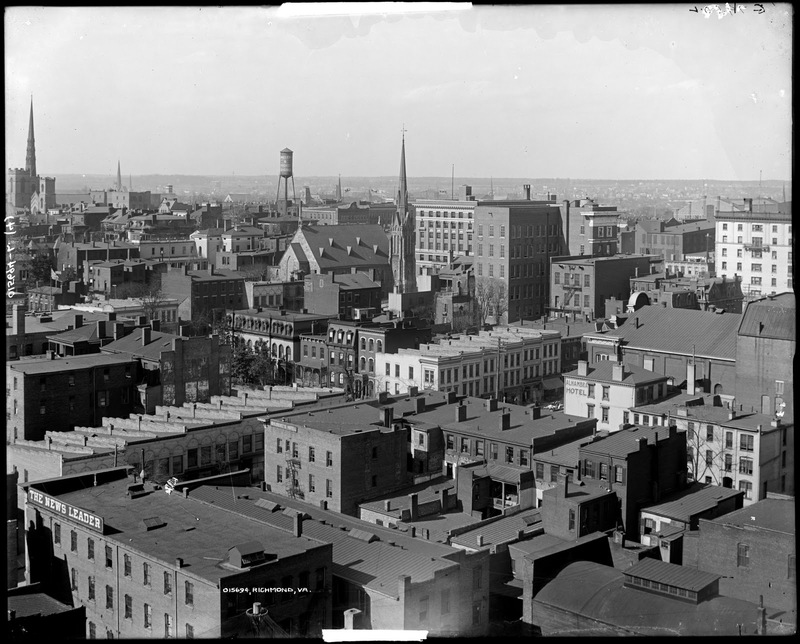 The skyline of Richmond, from sometime between 1900 and 1915. It took me awhile to figure it out, but this is looking northwest from just south of the State Capital. Note the Miller and Rhoads Dry Goods tower and the Richmond News Leader building. Click the photo for the high resolution version. Welcome.....Over the years I've collected many old photos of Richmond (real and digital), as well as books, pamphlets, ads, and much more. 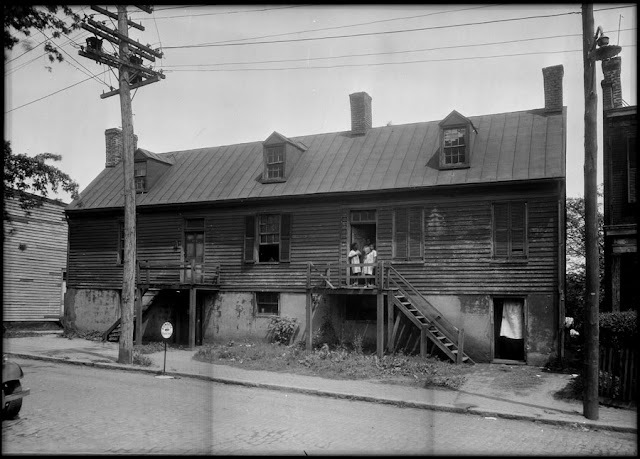 This blog will serve as a showcase for a high resolution look at the history of Richmond, VA. Contributions are always welcome, whether they be stories or images. Just use the Submit Photos link. And feel free to add any info you may have about each post in the comments section. Sit back and enjoy!